The musicians come from all over Iraq. They are accepted after applying and doing their auditions via the Internet. Fortunately there’s not any difference between males and females. Everybody between the age of 14 to 30 can apply. When they get together, you see happy faces and feel a great sense of hope from them. They forget all the challenges they’ve gone through to get to this point. 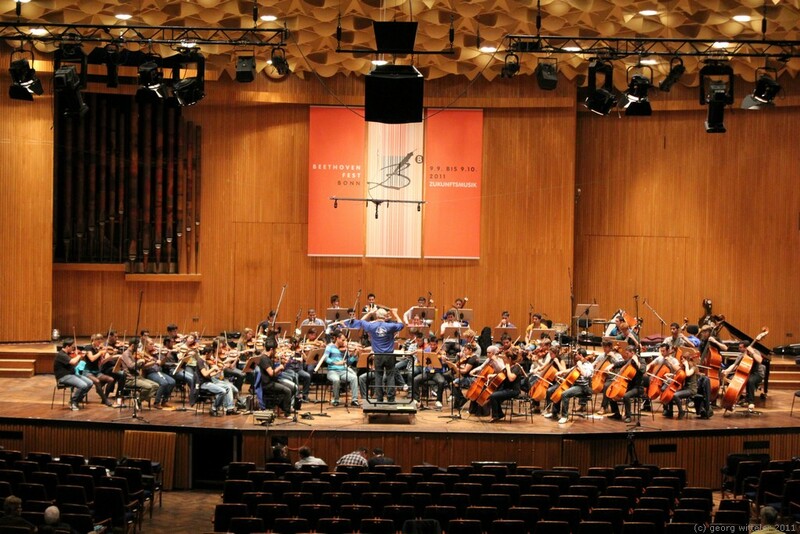 The orchestra is like a very good musical school for the young Iraqi musicians who’re able to apply every year. However, it does take approximately a month out of the year of their time to apply. And there’s no rule that they have to stop improving their musical abilities even if they aren’t chosen by the orchestra’s musical director. They’ll just try to make more progress for next year. 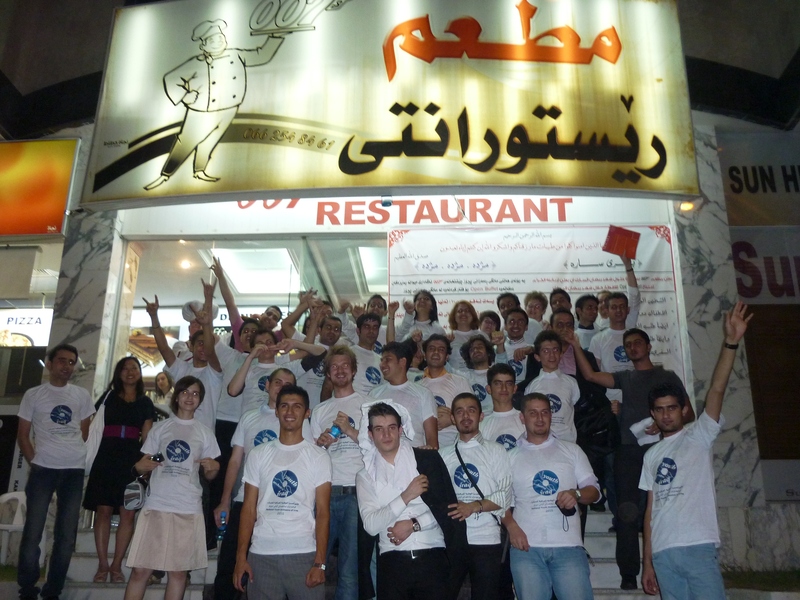 Since it was founded, the orchestra has performed every year in various cities across Kurdistan. Last year, they even had the chance to travel abroad to Germany and participate in the Beethovenfest, Bonn (www.beethovenfest.de). That was a good opportunity and became a great turning point for the orchestra, introducing it to the world at large. In my view, it led some to have a different identification with Iraq and showed another beautiful side of Iraq to the world. Hopefully we will have many other opportunities to travel abroad as an orchestra. 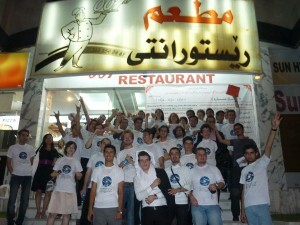 At the moment, we are preparing to travel to the UK and take part in Edinburgh Festival Fringe (www.edfringe.com). The orchestra provides many different things for the musicians during rehearsals. One of the most interesting things for me are the conducting classes, presented by the orchestra’s musical director Paul MacAlindin. He’s a Scottish conductor who has lived in Cologne for about ten years, and he has worked with the orchestra since the beginning. I’ll do an interview with him for a blog entry soon, because I want you to know what a Western musician thinks about the orchestra and its effectiveness. For me personally, the orchestra was a gateway to great opportunities. I applied in the second year after it was started – not the first. 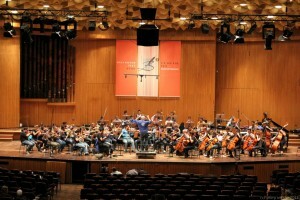 After I went to some conducting classes, I got some good knowledge on conducting. So after that I created a much bigger orchestra in my town from the students of the Ranya Institute of Fine Arts. It’s been very great for me that I can be a member of such a great orchestra, and meanwhile I can give the useful knowledge I got from it to the students. Every year the orchestra gets more and more applicants. For instance, the first year the orchestra had 5 members from my town. In the second year, 10 members. The third year brought 12 members, and this year is also 12 members. It obviously has good potential.